Disclosure: Thank you to Finding Balance for sponsoring this content. I received product and compensation in order to facilitate this review. All thoughts and opinions expressed below are my own. For more information, please refer to the disclosure that can be found at the bottom of this post. Chances are, you've heard about essential oils more than once in the past several years. But how can essential oils help you and your family? They have gained a lot of popularity in recent years, being recognized for their natural properties that can aid in health maintenance, prevention, and treatment. Essential oils come from plant sources that have been used medicinally and therapeutically for their properties for thousands of years, and were forgotten due to the prominence of chemically-manufactured drugs. These naturally sourced oils provide us with a way to concentrate and benefit from the natural properties developed by various plants for their own immune defense, pollinator attraction, damaged tissue healing, and other metabolic purposes within the plant. I've heard people raving about their success with essential oils, and I just had to experience it myself to find out what all the fuss was about! There are a lot of companies that offer essential oils, but there is one that promises something above and beyond. Their entire range of products is Certified Pure Therapeutic Grade (CPTG), something different than any of their competitors. Which is why this brand guarantees a consistent, safe standard of quality in every bottle. Their CPTG process ensures that each bottle meets the highest quality standards for both purity and potency. The best-selling essential oils include Breathe (a respiratory blend), Lavender, Peppermint, Lemon, their soothing blend, Wild Orange, and their metabolic blend. I jumped at the opportunity to partner up with Finding Balance. You can ask any questions and order the best essential oils available directly from Amber Nordstrom of Finding Balance, an independence wellness advocate and essential oils expert. It's been an amazing, educational process talking to Amber and hearing all about how essential oils can be used to enhance the health of our families, and learning just a few of their uses that were relevant to my family. Although essentials oils are, by no means, a replacement for modern medicine, they can be a practical alternative medicine that act as a supplement in your life. In "An Introduction to Modern Essentials: Fifth Edition" booklet, you can look up various conditions and treatments, discovering hundreds of practical and even surprising uses for certified pure, therapeutic grade essential oils. Treatment ranging from postpartum depression, to acne, poison ivy, hair loss, and even carpet stains... These are just a few examples of topics addressed in this amazing booklet! I received the Introductory Kit (lavender, lemon, and peppermint), as well as the Wild Orange, Deep Blue, and a mood matrix essential oils for review. All of which are safe for application topically except directly in the eyes, up the nose, or in the ears. Due to the wide range of uses for essential oils of this quality, I have already been able to use the essential oils in my household for many purposes. My mother has been able to use the lavender and peppermint aromatically to combat stress, and I've used the same two topically to soothe pregnancy aches and pains, while my husband has benefited from the topical use of the Deep Blue essential oil when he's experiencing sore muscles. The products we have used have allowed us to feel better than ever! One of the things I have realized I love about essential oils from using them, is how versatile they are. I've used them in our humidifer, topically, and I've used several types to add to my tea or drinking water for an extra boost. You can find a way to incorporate the use of essential oils into your daily routine, however it suits you! Soothing blend - Supports healthy circulation and soothes achy joints and sore muscles. Lavender - Calming and relaxing qualities, eases muscle tension, helps skin recover quickly, and soothes occasional skin irritations. Lemon - Aids in digestion, naturally cleansing, promotes a positive mood and cognitive ability, has antioxidant benefits that help ward off free radicals, soothes throat irritation, cleanses and purifies the air and surfaces, and supports healthy respiratory function. Peppermint - Alleviates occasional stomach discomfort, makes a great addition to a toothpaste or chewing gum recipe for oral health, and promotes clear breathing and overall healthy respiratory functioning. Wild Orange - Uplifting to the mind and body, high in antioxidants, powerful cleanser and purifying agent, and protects against seasonal and environmental threats. Want to know more about essential oils, and find out which products would best suit you and your family? Register to attend the live webinar with Amber Nordstrom to be introduced to the world of essential oils, and ask any questions you might have! You won't want to miss this fantastic opportunity to learn all about the benefits of essential oils and discover exactly what you've been missing! 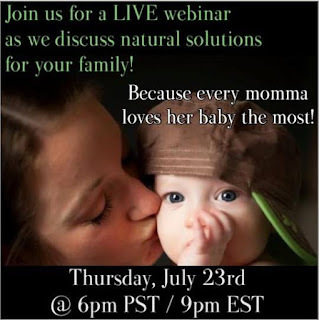 As a natural solutions provider, she is extremely knowledgeable on this topic and will help you and your family find the tools you need to feel better than ever! 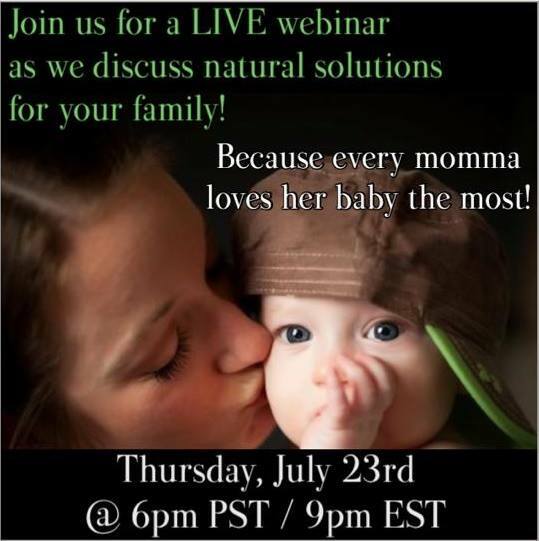 Click here to register now for the live webinar on July 23 at 6 pm PST. Amber can help you get access to medicinal grade essential oils at the best price. Won't be able to attend? You can ask any questions in the comment box below. Get in touch with Amber directly through email at finding.balance.here@gmail.com or on any of her social media with any of your questions, or to place an order today! Must be 18 or older in order to enter this giveaway. Limited to one entrant per household. Giveaway ends 07/26 at 11:59 pm PST. Winner will be chosen at random through Random.org. The winner will be announced on Found Frolicking and contacted via the email address .provided. A response accepting the prize is required within 48 hours in order to claim the prize, or another winner will be selected. The sponsor of the giveaway is responsible for prize fulfillment. Hitting the "Like" button on any Facebook page visited will not increase odds of winning, but we greatly appreciate your support. The support also helps us bring you more amazing giveaways! By entering the giveaway, you agree to the above terms. All of the essential oil products I tried and used over the last month. Disclosure: This is a sponsored post. I received product monetary compensation in exchange for writing this content. All opinions expressed are my own, and were in no way influenced by the brand or any other sources. Any statements made above about the products have not been evaluated by the Food and Drug Administration. This product is not intended to diagnose, treat, cure, or prevent any disease. The post and all photos with the watermark are the property of Found Frolicking, and should not be used or distributed in any way without first receiving permission. Found Frolicking is in no way responsible for prize shipment, but will work with the sponsors in all ways possible to ensure the winner receives their prizes. Find out how Found Frolicking can help promote YOUR business! If you would like to work with Found Frolicking for a review, giveaway, advertising, or promotion of any other nature, please email Lalia at found.frolicking@gmail.com. Fine Print for Giveaway: Giveaway open to individuals 18+ who are residents of the continental US. Entries are limited to one person per household. Giveaway begins July 13, 2015 at 12 am PST, and ends July 26, 2015 at 11:59 pm PST. The winner of the giveaway will be chosen at random through Giveaway Tool's Random.org. Winner will be notified via email, and first name and last name's first initial will be announced on the Found Frolicking blog. Please make sure your email address is correct when entered, so that you can be reached if you win. The winner will have 48 hours to respond to the email sent out to them, and should a response not be received within that time, the prizes are forfeited. Please follow the instructions for each entry, as you have to have done what was instructed for your entry to count. All entries will be verified. Found Frolicking is in no way responsible for prize shipment, but will work with the sponsor in all ways possible to ensure the winner receives their prizes. Void where prohibited. Entering using the Giveaway Tools form means you agree to the above terms. Thank you. Ive heard a lot about Essential Oils lately but its weird to me that a price for a bottle of say lavender oil is never disclosed. Is it expensive? Would this become mainstream one day, like seen in a drug store right along side nyquil? I have heard lots of buzz about essential oils, but haven't had a chance to try them yet. The Anti-Allergen Laundry Detergent is my favorite Ecology Works product. I haven't dabbled in these other than peppermint, but I really, really love that. It's great for headache relief. 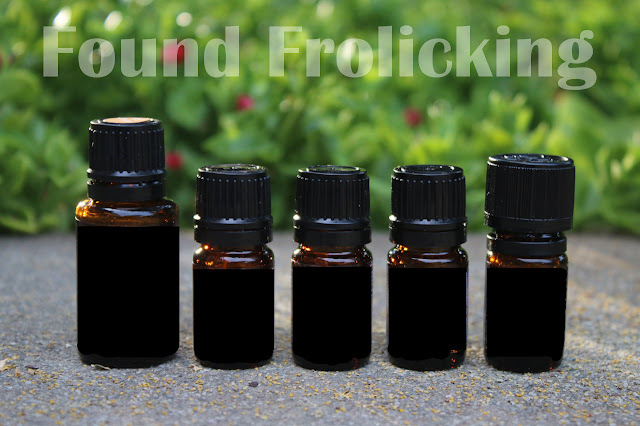 These essential oils sound totally amazing and so does the giveaway. I would so love to try the Soothing Blend and the Wild Orange oils. The essential oils are being used by so many people now days. Thanks for sharing. I have read and seen a lot about essential oils. I know they use it a lot for soothing massages, like aromatherapy. Thanks for sharing. I am getting into a few of the essential oils. I started using lemon oil about a month ago. I made some homemade sugar scrub. Both coconut oil and lemon oil is supposed to be great on acne. So far it's healing what break outs that I had. It's just so hot here in the summer. I need to try cleaning with the lemon too. I have heard a lot about essential oils & I have been regularly using them at home. I use it in kitchen as well as for my skin care. The Terra Package giveaway looks interesting, will check it out. Vital Oxide Disinfectant 32oz Spray Bottle is what is my favorite and needed! I would use the Anti-Allergen Laundry Detergent the most! I would love to try the Anti-Allergen Laundry Detergent 40 loads.